Tags: Automatic Vacuum Sealer, black, cosori, COSORI Automatic Vacuum Sealer, food saver, food sealer, food sealing, food sealing machine, sealing machine, sous vide, sous vide cooking, sous vide machine, vacuum sealer, Vacuum Sealing, Vacuum Sealing machine, Vacuum Sealing System. 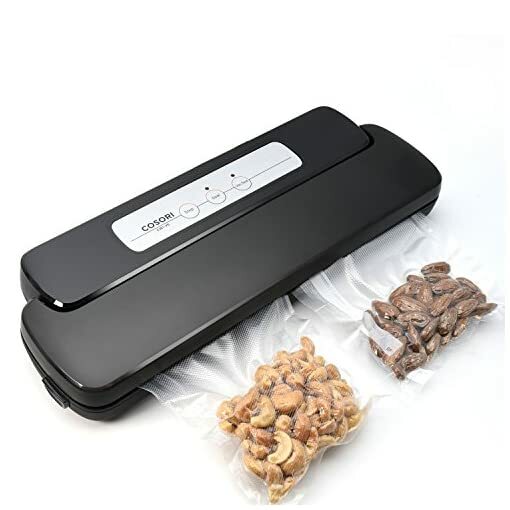 As it provides you both food and home storage solutions, the Cosori Vacuum Sealer is itself slim and compact, easy to tuck away into smaller drawers. 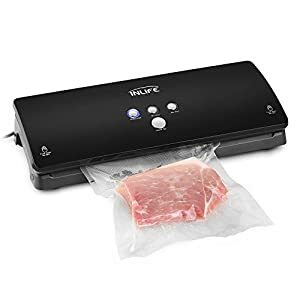 However, it can still seal multiple vacuum bags at once! 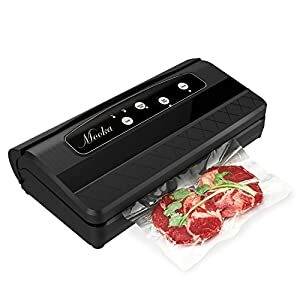 For such a useful gadget, its interface is simple: 3 buttons and an intelligent LED indicator. 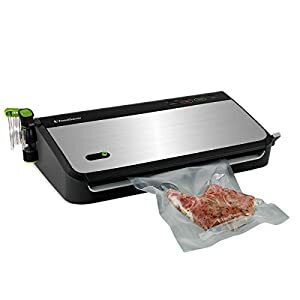 Whether you have an automatic vacuum-sealing , it does its job quietly. 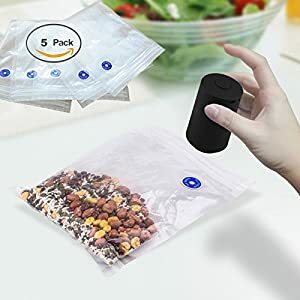 Unlike the majority of offerings out there, Cosori will also send you 5 vacuum bags and 1 roll as a starter kit: 7.88″ x 11.82” Quart Vacuum bags (5), 7.88” x 78.75” Quart Vacuum roll (1). 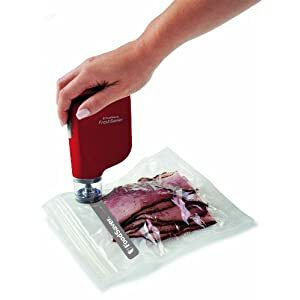 ADVANCED SLIM DESIGNS AND STARTER KIT: Includes 8″ x 12″ Quart Vacuum Sealer Bags (5), 8″ x 6.5′ Quart Vacuum Sealer Roll (1). 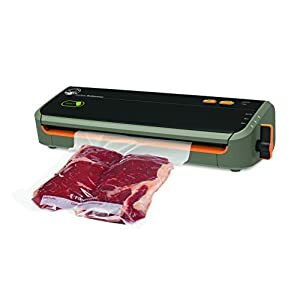 This food sealer is also compatible with the standard 8″ x 11″ vacuum sealer bags in the market. 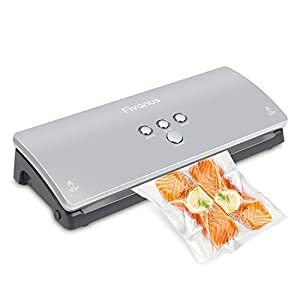 MULTIPLE FUNCTIONS: Vacuuming, Sealing and a Sous Vide Companion. 3 simple buttons and an intelligent LED indicator make the interface easy-to-use. Multiple bags can be vacumm sealed at once to store fresh meat, fruits, nuts, fried food, snacks, stuffed animals, magazines and many other household items storage which is prevented from dust and humidity. STRONGER & TIGHTER SEAL: A 3mm extra wide sealing strip width sealing bar make good seal. 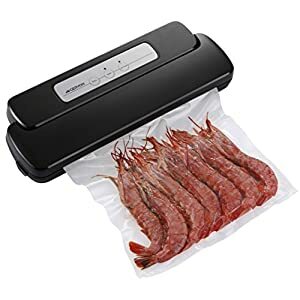 Low noise operation. 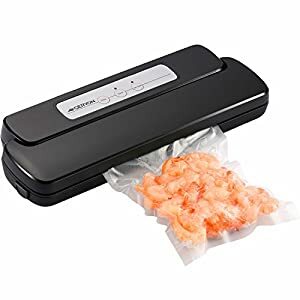 Anti-skid padding keeps the product in place. 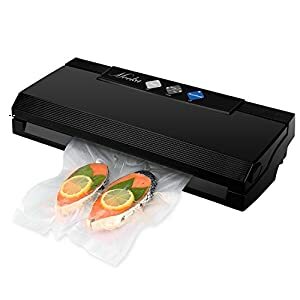 WORRY FREE GUARANTEE: ETL approved; Easy to clean; 2-Year Warranty included. Enjoy the added bonus of lifetime support from our Cosori Support Team.